HomeNEWSEgypt builds a new capital city to replace Cairo. Egypt builds a new capital city to replace Cairo. On a flat stretch of desert between the Nile River and the Suez Canal, a new city is being built that will one day replace ancient Cairo as Egypt’s capital. The new metropolis is currently a giant construction zone, but work is progressing at breakneck speed. It is slated to be larger than Singapore and will eventually be home to 6.5 million people. The government is set to move 34 government ministries — including the presidential complex — to the new capital in next June, just four years after the project was announced by President Abdel-Fattah el-Sissi. Officials describe the new administrative capital, which has not yet been named, with a string of superlatives. 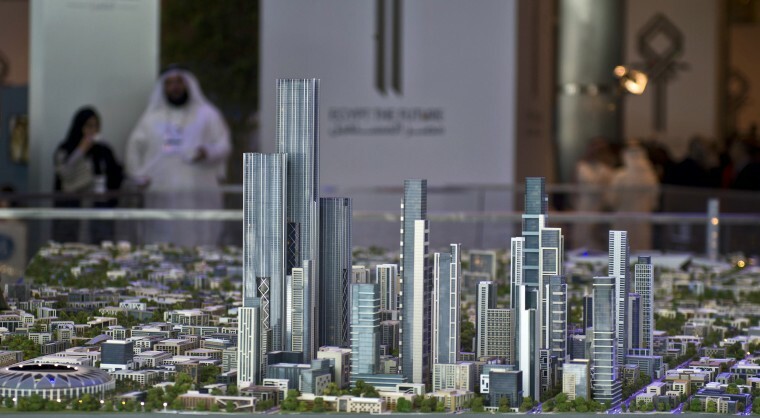 It will be the country’s most high-tech city, home to Africa’s tallest tower, and Egypt’s largest minaret and tallest church steeple. Among its features will be sensors that report smoke or fires to emergency services and a “smart traffic system,” he added. The new city will also boast a huge green space bigger than New York’s Central Park, a mega-mall, residential districts, a science and tech campus and a cultural complex complete with an opera house, theaters and a cinema. A new church is well on its way to completion, and the Al Masa Hotel, which is run by the military, was inaugurated by Sissi last fall. Though the government has said that land sales will offset the cost of the project, analysts have questioned the wisdom of building a new city at a time when the poor and middle class have been hit by new taxes, high inflation and the elimination of government subsidies on energy. “For the country to watch the government spend tens of billions on this while also hearing them say we all have to tighten our belts, it sends a contradictory message,” said Timothy Kaldas, a nonresident fellow at the Tahrir Institute for Middle East Policy in Cairo. The idea of constructing cities from scratch in desert is not new. Forty years ago, Sadat City was built with the goal of becoming a thriving urban center between Cairo and Alexandria. It was less than successful, and the city currently has around 150,000 residents. Cairo is booming, its suburbs swollen with new residents drawn from across Egypt by the lure of jobs. Already twice the size of New York, it is home to about one-fifth of Egypt’s 97 million people and is not only the country’s political capital but also its cultural heart. However, its rapid expansion has also been its downfall, according to officials. Authorities hope that the new city will replicate some of Cairo’s appeal and thrive as more than just a government base. Over the last decade or so, Cairo’s middle- and upper-classes have decamped to the suburbs, seeking a better quality of life among the sleek high-rises, gated communities and upscale malls. Billboards advertising new developments line the highways and new properties often sell even before they are built. This trend could boost the chances of success for the new administrative capital in replacing Cairo as Egypt’s main hub. For Sissi, there are many good reasons to push ahead with the new city. First, there are the economic benefits that a project of this magnitude brings to the construction sector. David Butter, an associate fellow at the London-based Chatham House think tank, said there are “a whole lot of ways in which promoting this project will benefit vested interests in Egypt,” most of them financial. Then there are the security advantages. Sissi in 2013 led the overthrow of Egypt’s first freely-elected president, Mohamed Morsi of the Muslim Brotherhood, after massive protests spread through Cairo. In the new capital, “the army will be in the command and control center and will manage and control the whole city via the center,” Soliman said. That could help insulate the government from the threat of a popular uprising, analysts say. Sissi, who was elected to his second term in March, has made no secret of his desire to restore Egypt’s former glory as a leader in the Arab world. There are hopes that the new capital will do just that, bringing in new foreign investment, global companies and putting it on par with the Gulf countries that have changed so rapidly over the last two decades. Sissi is no stranger to grand projects. Since taking office, he has helped revitalize the country’s roads, widening highways and building better connections to remote locations. This year, the government unveiled the world’s largest solar power park near Aswan, and in 2015 opened a new Suez Canal aimed at lifting Egypt out of its economic malaise. However, the project so far hasn’t had the drastic economic benefit the government had hoped for. Premier League Matchday 1 Fixtures in West African Standard Time.